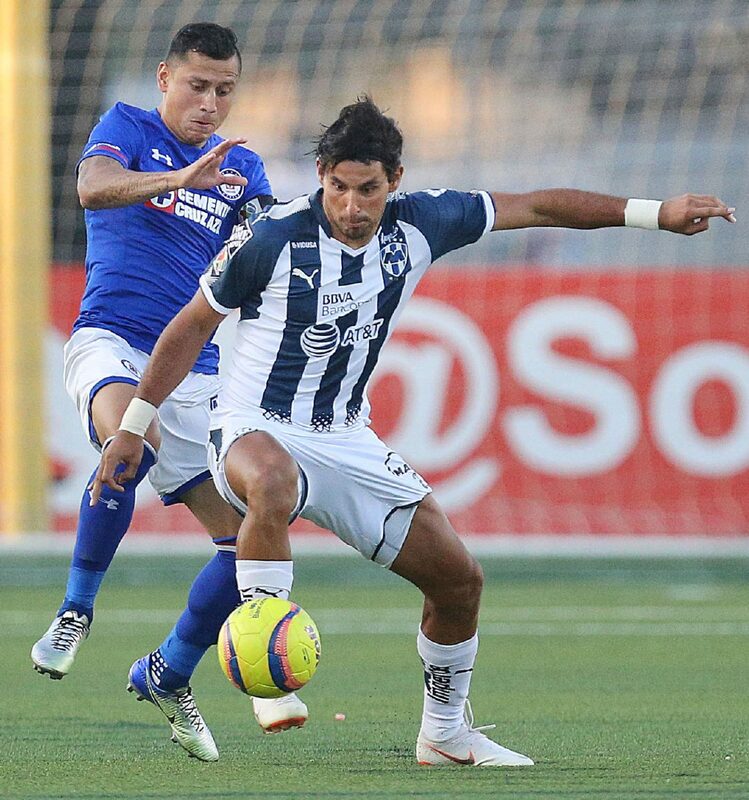 An exhibition game between ex-UANL Tigres and ex-Rayados players will take place at State Farm Arena on Sept. 30. HIDALGO — Despite what was already described as a jam-packed schedule, State Farm Arena officials announced Thursday that the venue will add another sporting event to its calendar. State Farm Arena will host an exhibition Sept. 30 featuring ex-players from Liga MX clubs UANL Tigres and C.F. Monterrey Rayados. Fans will be able to see such popular players as Martín Zúñiga, Walter Gaitán, Paulo Cesar Chávez and Héctor Castro suit up in familiar colors. 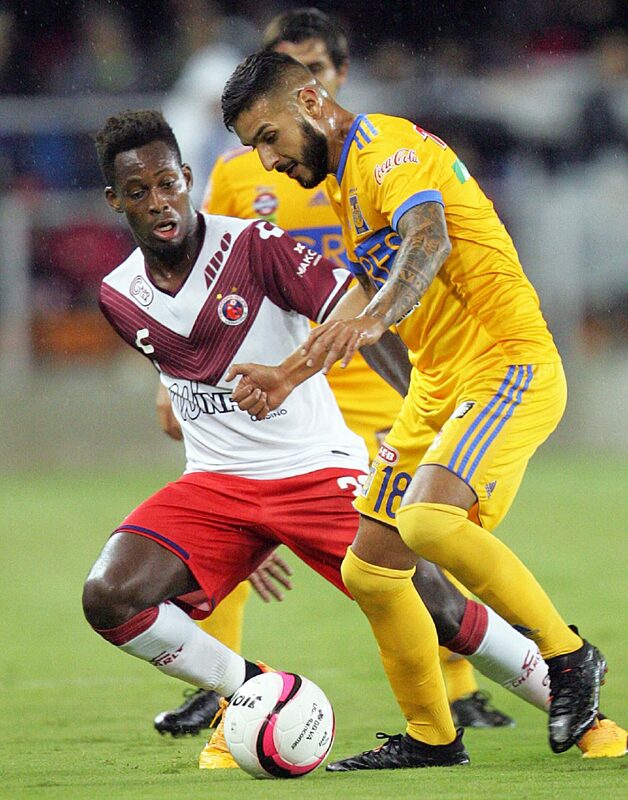 UANL Tigres' Ismael Sosa (18) and Tiburones Rojos de la Veracruz's Geoffrey Acheampong (32) battle for the ball in a game played at H-E-B Park on November 8, 2017, in Edinburg. C.F. Monterrey's Jorge Benítez (27) and Cruz Azul's Julio César Domínguez (4) battle for the ball as they play in an exhibition game at McAllen Veterans Memorial Stadium on Tuesday, July 3, 2018, in McAllen. The timing of Thursday’s announcement is not coincidental. Bert Ogden Arena officials announced Monday that they secured WWE Live for a visit to the brand-new Edinburg facility on Sept. 14. Losing a big draw like the WWE hurts State Farm Arena, but familiar faces in new roles like Treviño and Hidalgo mayor Sergio Coronado are tasked with maintaining the venue’s status as a premium events facility in the Rio Grande Valley. Treviño returned to State Farm Arena this week after spending three years as general manager at H-E-B Park. Coronado was a Hidalgo councilman before his election as mayor in May. “To be honest, back when we heard Bert Ogden (Arena) was being built, I was excited, because I love competition,” Coronado said. “I also knew what was going to happen with us, which is change. We needed to adjust certain things, provide better services, and now we’re going to have as many shows as we’ve ever had from now until December. I believe that will be a record in our city, and the arena goes back 15 years. The Tigres-Rayados legends game will be one of an estimated 20-25 events set to take place at the arena before the end of the year. As previously announced, the Rio Grande Valley Killer Bees will return to State Farm Arena this fall. The Killer Bees will drop the puck at home Oct. 26 against the Laredo Bucks, their similarly rejuvenated archrival. The USA Central Hockey League, the six-team junior league that will house the Killer Bees and Bucks, is still taking shape. According to the league’s official website, Wichita Falls will have a franchise, as well. Treviño also said teams in Odessa, Amarillo and possibly another in the Dallas suburb of Allen will round out the USACHL.